You follow the same process as when you create a new guest member. First, go to Groups. 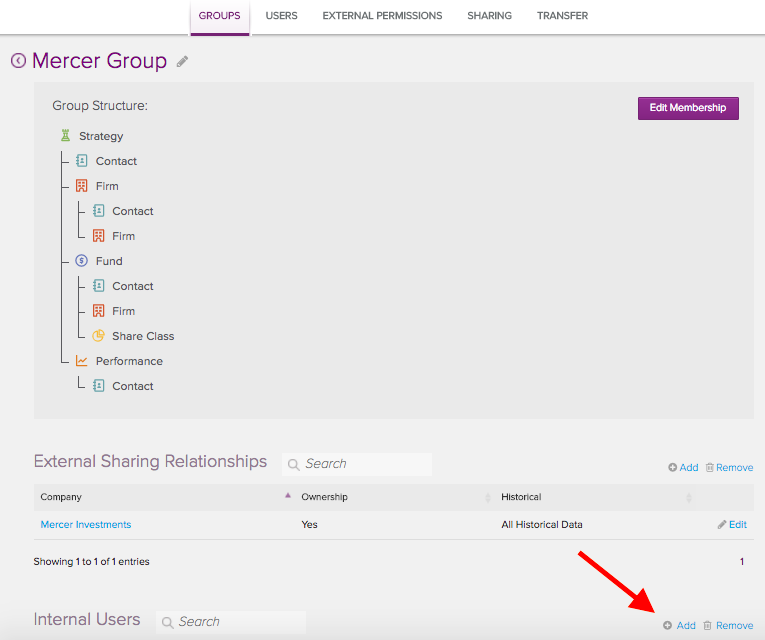 In the External Sharing Relationships panel, select Add. Choose a company from the Select a Company dialog box.